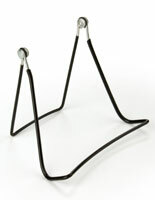 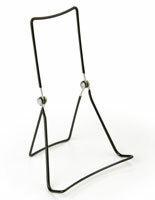 Wire tabletop easels are an affordable and easy way to display merchandise. 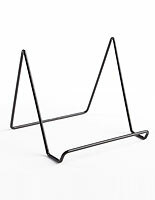 These small, affordable props are a great way to increase point of sale purchases and to display featured items like best-selling books. 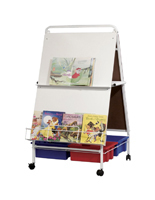 These easels conveniently fold up and can be easily stored.The low cost allows retailers to purchase an abundance of easels and create an entire display setup. 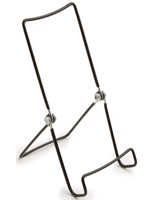 Hinged designs are adjustable so users can change the viewing angle to increase visibility. 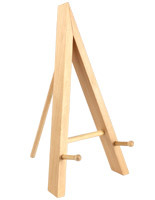 How are other people commonly using these easels? 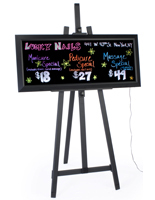 These displays are an affordable way to prop up and iPad or other tablet to view movies and play games. 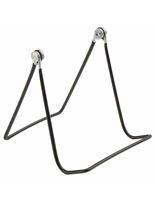 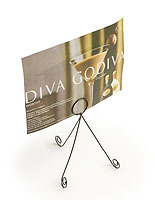 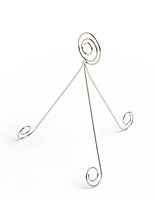 These easels are great for decorative purposes too! 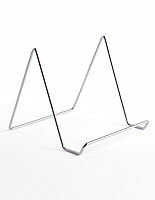 Display china and decorative plates within a display case or on tabletops!